They are the same strategies used by some of the most successful investors in the country. And now we’re making them accessible to you in our latest whitepaper, FREE TO DOWNLOAD NOW. Q: If you can't choose a no-risk, high- return investment, what is the next best option? Every investor dreams of finding the “holy grail”: an investment with high returns with no risk. The truth is, all investments come with some degree of risk. This detailed 12-page guide is prepared by one of America’s most renowned authorities on risk-managed investing. This expose of what you can achieve when you pursue steady growth plus downside protection will help you see investing the way the sharpest minds on Wall Street do. You should be in charge of your financial destiny. 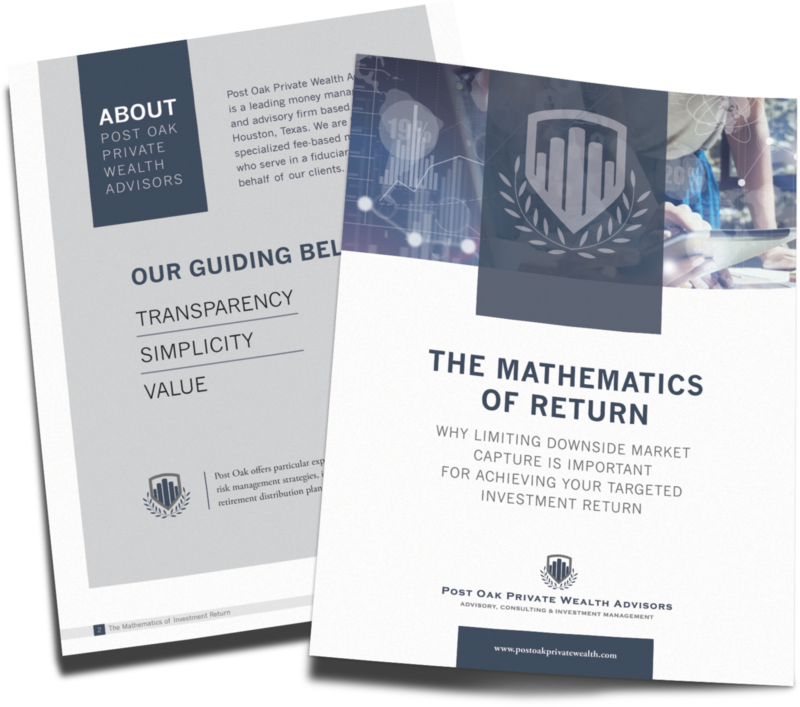 Understanding The Mathematics of Return is your first step toward the prosperity every proactive investor needs to take.